Size at top 13in wide x 12-1/2in high x 5in deep (excludinghandles). 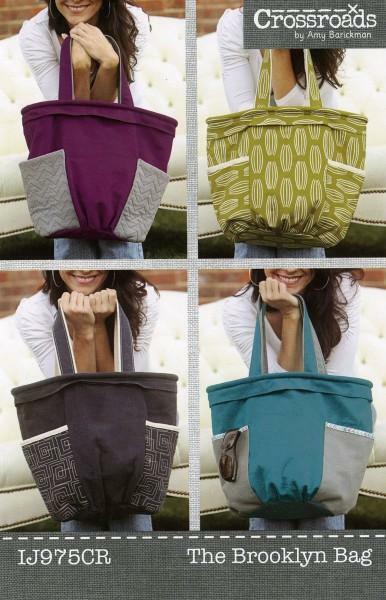 Roomy tote features plenty of storage with a widetop and gathered bottom style. Includes two divided insidepockets. Showcase favorite cotton fabrics or free-motionquilting on the two large, outer pockets.